We all know the bride. She may have a gaggle of besties, a super supportive youth group, the best coworkers ever or maybe even a giant pledge class of sorority sisters. She’s received every ‘You’re Engaged’ gift under the sun.. ring dishes, picture frames, mugs. She’s not complaining, this is the best time of her life and she loves every single one of those gifts. But.. throughout this process I’ve made a little running list of things I’ve spent extra money on or needed more of and plan to give those things to my friends before their special day. I love finding unique or unexpected gifts because I think they make more of a surprise. This is the most exciting time ever and you don’t want your friend to be stressing about money! Weddings are expensive, so anyway I can send a little extra love to my girl is a plus. Here’s my list, ladies. I currently have a wedding to do list thats three miles long and many of the things on the list are ‘Buy XYZ’. I need new dresses/outfits for showers and parties. I need to head to Sephora to replenish my make up (you get dressed up so much more when you’re engaged, so my make up is running dry much faster than usual). I have 3 extra hair appointments at STYLEbar (Please don’t get sick of me Julie!). I’m attending more workout classes than usual & my grocery bill is higher due to trying to eat very healthy and cook every meal at home. I’m not complaining at all, I’m so lucky to have things to get dressed up for but it is taking a toll on the wallet. Her favorite online shops. Ordering clothes online from retailers who have a great return policy is such a blessing. You can easily order something & have it delivered without having to worry you’re stuck with it forever if you don’t like how it looks or fits. One less trip to the mall is a win in my book. Some of my favorite stores with an easy peasy return policy are Nordstrom, Asos & Revolve. If you know you’re bride really well you could even be very unexpected and send her an outfit you picked out! She could always return it if it wasn’t exactly what she was looking for. Sephora. From engagement photos to parties, I swear I’ve worn more makeup this year than ever before. Not only am I restocking in half the time I used to but I’m also much more concerned with my skin care. A gift card to Sephora would be the perfect little treat or pick up one of these gift sets for her to sample new products. If you know what brand make up she wears you could easily gift one of her favorite lip glosses or self tanners! Every bride is bound to have a few stress blemishes pop up & this overnight drying lotion is perfect for zit zapping, even Kylie Jenner swears by it! A few more places you could grab gift cards: their hair or nail salon (If you’re local to Chattanooga, STYLEbar not only does the best work but they make you feel like a queen every time you’re there #PamperCity), her favorite restaurant (planning can be stressful for the couple, a night out at their favorite place would be a fun treat! ), gas card (especially if the bride doesn’t live close to her family or bridesmaids, I’m constantly traveling to Memphis for parties, meetings or to visit family before the big day!). Treat Her to a Day Out! Not only will you get to spend some quality time with your babe but she will enjoy a break from planning! Head to lunch and grab a manicure, do a little shopping, go see a movie or just invite her over for some wine and gossip! A Personalized Hat for Her Bachelorette Party or Honeymoon. 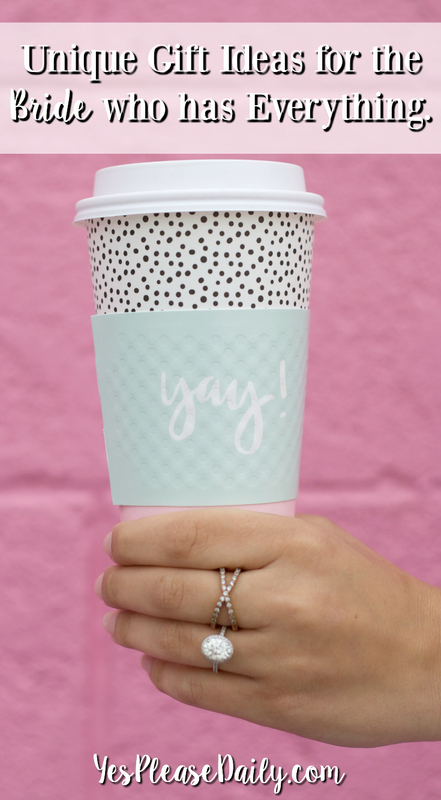 We planned on keeping this a secret until next week, but we’re too excited to wait so the cat’s out of the bag… introducing Shop Yes, Please! 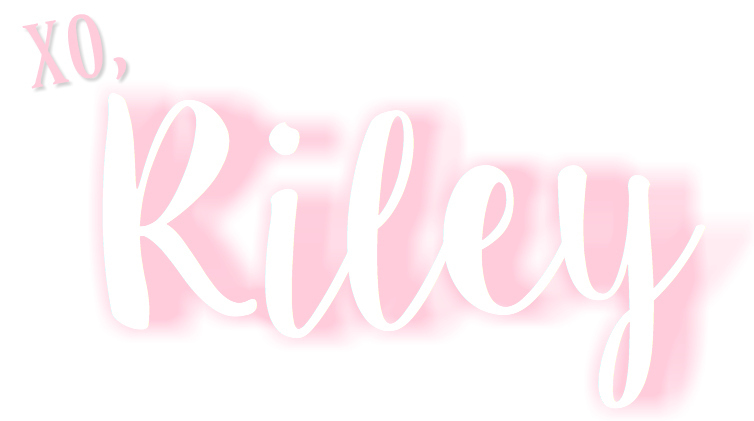 This etsy shop will be home to some of the DIY projects I share on here (so you can custom order your own without the hassle of trying to make it yourself) + other pieces that I love! These hats are so fun and memorable. I gave one to my BFF for her honeymoon with her new last name and the pictures were adorable! I made one for our engagement pictures with our hashtag. You can also do cute phrases or your wedding date! The possibilities are endless. A Hand Painted Portrait of their Venue or Proposal Site. My best friend is the most incredible artist. She paints everything from landscapes to custom dog portraits. I’m so happy to team up with her for the Yes, Please! shop. She is painting a portrait of our wedding venue for us and I think it’s one of the most special things. I can’t wait to hang it in our house and have it in our family for generations to come. Offer to Help with DIY Wedding Projects. This one is huge if you are crafty! I have so many items on my to do list that are DIY projects for the rehearsal dinner, ceremony and reception. If you’re not crafty you could head to her pinterest board or ask her mom or bff if she needs anything specific (i.e. hashtag signs, lights, props) for her wedding that you could purchase for her! About two days after we got engaged I had to toss my old planner and search for a new one. I write a ton of stuff in my planner already to keep track of blog posts, outfits, places to shoot, post ideas, meetings, etc. adding in all the wedding meetings, to do lists, phone calls, emails.. well I looked insane! My planner was so much scribble. I needed one that was a full size and it’s been a lifesaver. I love this one. I received one for Christmas last year and at first I was worried I wouldn’t use it enough and felt bad my parents maybe wasted money. Total. Lie. I’ve used it so many times for both wedding festivities and in my personal life. I’ve also found this is the cheapest place to buy film! Snapchat is the most fun social media in my opinion. I love the instant share of what’s going on, and what’s more interesting to watch than your guests view of your wedding?! Order a Snapchat filter for her big day or any of the events leading up to the wedding! You can pick what it will look like or have the bride design it herself. Don’t let these ideas fool you, any gift or just your support during this process is more than the bride could ever ask for and she will be forever thankful! Most women have dreamed about their wedding since they were a little girl which makes this an extra special, but also extra delicate time of their life! Every time I think about all the help I’ve received during our planning process makes my heart so full. I agree it’s challenging to find a gift to someone who almost has everything. So, these ideas are very helpful. And in all the gift ideas, the last one is my favorite. I’m also a snapchat fanatic and I put filters all over my photos. But I got mine in FineFilterz.com, they’re very accommodating and affordable.